Robusting the chances of a megadrought in the U.S. | Watts Up With That? ITHACA, N.Y. – To help untangle fact from speculation, Cornell climate scientists and their colleagues have developed a “robust null hypothesis” to assess the odds of a megadrought – one that lasts more than 30 years – occurring in the western and southwestern United States. The research was published online in the Journal of Climate. In the southwestern United States, water management is a top concern. If a megadrought occurs, large-scale water management decisions affecting millions of Americans must be made to protect agriculture, the ecosystem and potable water systems, said Ault. Thus, understanding the odds of a widespread megadrought becomes important for planning purposes. Using tree ring and other physical evidence, researchers determined that the American Southwest saw five megadroughts from 800 to 1300 A.D., a period almost as warm as it is today, though Ault explained that the causes were different, such as solar activity. Today, Ault and his colleagues want to know if an actively warming world can stimulate a megadrought. However, the simple model does not generate clusters of megadroughts. “Like those that occurred during the medieval period, those events were likely to have been caused by something other than chance alone,” Ault said. Or warmer than today and perhaps the obvious should be asked, doesn’t this mean the current warming could be natural. But noooooooooooo. We must genuflect to the new religion and ignore the obvious. Climate Change is best worshiped with closed eyes. Climate ‘science’ is best understood by reading tea leaves or sheep’s entrails for the less squeamish. I wonder what evidence let the researchers know “the causes were different, such as solar activity”? I don’t think tree rings would clue one to that. Perhaps they could just state droughts in California occur for reasons not associated with global warm spells. Naah, that would be too easy, even if true. If drought happens there that often regardless of cause, perhaps it is not a good place for human habitation. Oh, don’t say that–the rest of us don’t want to be Californicated by socialists fleeing CA. I read that California was unusually wet over the last couple of centuries, just as California’s population boomed. “Drought” might be just getting back to “normal” for California over the last millenium. AndyG55 – Indeed. If the Medieval Warm Period is an anomaly then how would they characterize the last billion years. I think the problem is caused by characterization or personification; all those ‘scientific’ descriptions that ‘help’ our understanding. I don’t think they have looked hard enough at the past. No. In olden times it used to be called the “Medieval Climate Optimum”. 800-1300 AD was around the Medieval Optimum when we had a long warm spell for much of that time frame when long term mega droughts were more common than now. Hence drought affiliation in the American south west with a naturally warmer world, just as the same has been the last 150 years of a warming trend and some significant drought happening. The Medieval Optimum must have been a lot warmer than now. Time to think about building more water desalination and more pipeline delivery infrastructure for the American south west. A lot of it is semi arid or a desert and drought is an absolute historical reality. That is just a simple reality and isn’t going to change anytime soon. Water supplies are already maxed out so when a drought worsens or comes again, society will be better prepared. Can’t exist without water, so best to be prepared. Notably, the two Middle Ages megadroughts were around the Medieval Warm Period. I suspect that during warmer times with the Arctic less icy (especially around the Bering Strait), the northern polar front jet stream has its decades-scale average position (or average position for time of year) farther north, especially around the North America west coast. That means warmer times on average make California drier, although warmer times seem to make the US as a whole and the world as a whole having less of a drought problem. The “new normal” won’t be denied by facts. It takes political and media attention to achieve a fact free level of understanding. Pulled that right out of his Hind Arse he did. He has no idea what solar activity was in 1000 AD compared to the last 300 years of sunspot observations. Proxies of solar MWP do not equate to knowing what the magnetic activity via sunspot records was in 800-1300 AD. They attempt is underway to convince the dumb segment of California voters to keep buying into the Climate Change crap so Gov Moonbeam and his co-criminals can extort more taxes from them. Toby Ault is f-in moron if he thinks today is warmer than 1100 AD. So when the 21st Century Vikings set up animal husbandry paddocks and can sustain them for 300 years in southern Greenland would someone please inform that idiot Toby Ault know. But Eric the Red was lying about Greenland being green or warm. All that archaeological stuff showing farming and peoples lives in a livable environment was all faked. These days Trip Advisor would be all over Eric the Lier and he would get a hefty fine for misleading all those settlers who oddly carried on arriving and thriving well after Eric was dead. People are funny. Ye. Greenland landing was a fake by NASA and Hollywood. Oh. wait. Never mind. Actually (assuming the above post is serious), Greenland was warm enough to sustain animal husbandry for a few centuries; when the cold weather returned, the Vikings left. During those same warm centuries, wine grapes were grown and harvested in Scotland; impossible today. Human art, architecture, and music left medieval practices and limitations behind and accomplished those things that led to the Burgundian Era and then the Renaissance. Cold weather reduces human activity much close to mere subsistence. And if Toby Ault thinks Greenland is just an outlier, he needs to visit Mesa Verde National Park in SouthWest Colorado. The Anasazi flourished there from 850 AD to their societal crash in 1275 AD when the climate collapsed and became to dry and cold (not too warm). Toby Ault is an idiot. And if he is not an idiot, then he is just a dishonest rent seeker. And its getting harder and harder to tell if there is any difference. Dr. Toby Ault really should visit and study first hand Mesa Verde NP and the people who lived there 1,000 years ago. I seriously doubt he has or left his ivory tower of academia. He’s probably has only read about it in texts. And now he presumes to be some kind of erudite expert on the period and its droughts and warmth period. Mesa Verde today in 2017 is far too cold and dry to support the kind of agriculture that existed there 1,000 years ago during the MWP. So when he says today is warmer than then, he is totally full of crap. The above picture is an actual Mesa Verde National Park Service placard from an agricultural water holding area (it’s really good fun for the paleo-science geeks) the ancient Puebloans (aka, the AnasazI) built to hold water to grow their maize crops on the mesa top of Mesa Verde NP. Today the growing season is still too short and the climate too dry to support that. The climateers who claim today’s SW US warmer than the past are dishonest,because if that were the case, it would also be wetter too. And Mesa Verde would be able to have a long enough growing season again for maize if it were, but today it does not. Clear evidence that today is not as warm as the MWP in the SW US. Accordingly, It’ll be VERY interesting to see what happens to global temps over the next 5~10 years, especially since both the PDO and AMO will be their respective 30-year cool cycles from early 2020’s..
Granted, it seems counter intuitive that mega-droughts occurred during the MWP, because it seems increased global temps would have increased ocean evaporation leading to increased global rainfall. Obviously, there is a lot we don’t know about earth’s climate, however, we DO know CO2 is NOT the climate control knob.. Since CO2 levels can’t explain the MWP, CAGW advocates must blame it on solar activity, yet they ignore 20th century “unprecedented” solar activity… Hmm… How convenient.. This is not right. The Solanki et al. paper has been debunked several times. Those solar cycles were of course likely not the strongest series in the last 11,000 years. But they were the strongest set of cycles of the observational record that goes back to 1650 AD. And I would include SC 23 in that as well. SC 24 is clearly a demarcation point back to a Dalton-like set. The Periods between the Wolf, Spörer and Maunder minimas clearly indicate the sun can turn on the magnetic juice. 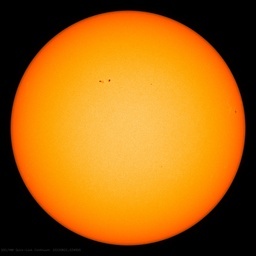 According to Solanki’s research, the average Smoothed Sunspot Number (SSN) over the past 12,000 years has been 72. 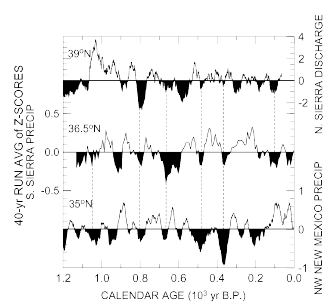 SSNs between 1933~1996 ranged from 110~210 with an average of 130, which is almost twice the 12,000-year average. We’re now at SSN 83, which is approaching normal levels, but still slightly above the 12,000-yr average. The next solar cycle from 2021 will be well below 72, and from 2032, SSNs will likely be below 30 for 50~70 years. We’ll see what affect these low SSNs will have on earth’s climate. All of which means it’s going to be getting colder from here forward. The Climate Change scammers in their attempt to limit fossil fuel energy are leaving human society so unprepared for the cold era that is more likely to hit humanity than any slight GHG warming. The real criminals are the climate scammers who allowed politics and funding concerns to affect their objective judgements. Their claims of climate science are simply pseudoscience and it will destroy the reputation of science as force for policy and a force for good. Joe-san: There is a real possibility a Grand Solar Minimum could bring devastating cold and worldwide droughts. Many scientists attribute the Little Ice Age to four Grand Solar Minimum events: (Wolf: 1280~1350, Sporer: 1450~1550, Maunder: 1645~1715, and Dalton 1790~1820). During the Wolf GSM, winters and droughts were so severe, 25% of Europe’s population was wiped out from exposure and starvation, and then the Black Death (1352~1354) wiped out 50% of the remaining population…. The Mother of All Ironies is that the tiny amount of CO2 warming we’ll enjoy this century may help ameliorate at least some of the coming cooling..
Perhaps it is the result of the jet stream to arch far to the north in an extended warm period, that would drag in hot dry air from further south that would lead to longer term mega droughts in the American SW. Sort of like it did this summer for the Pacific North West, which caused this summer’s drought that led to so many forest fires up here. If that blocking high pressure built in semi permanently because of a major change to ocean circulation patterns, then a shift north in the jet stream would explain the mechanism for the long term drought. What caused the change in the long term ocean circulation that led to that would be a whole other issue. The Warmists typically like to cite the total solar radiance which has been on a very slight down trend since the mid 1950’s since they can use it to argue that the post 1950 warming is all due to man[n] made co2. Another thing about prolonged droughts: A cause that I consider known is decadal oscillations (which have typical period of 20 years), decadal-scale random variations in ocean currents and ocean temperature patterns, and multidecadal oscillations. This means a model using equivalent of coin tosses to test for probability of prolonged precipitation anomalies needs to include multiple runs (“Monte Carlo” style) with effects of each coin toss lasting 6 to 50 years, with perhaps 100 runs for each of 6, 8, 10, 13, 16, 18, 20, 22, 25, 30, 32, 35, 40, 45, and 50 years. I expect the results to show about 10-15% probability of random “noise” causing as much (or more) correlation of California “megadroughts” with 30-year-smoothed global temperature as actually exists. I see probable trouble for California. As irregular as their weather always has been, and as much as water has been a concern in and near California for well over a century, I think California (especially SoCal) is a lousy place to move into and a good place to move from, especially if buying or selling a home is involved considering California home prices being higher than an elephant’s eye and California now not having electronic component factories that used to make California being greater than any non-US country in the world in manufacturing electronic components even until after LA’s air got clean again from CA’s special-tough automobile emissions requirements (Please remember car prizes in game shows with “California emissions”.) And that is before considering that the LA area is a little overdue for a “Big One” earthquake comparable to the one that hit San Francisco in 1906, considering California earthquake history and detected oscillations in California earthquake history. There’s always a drought somewhere. The droughts only align across all three lakes four times in 12k years, and when they do, the magnitude is usually different. Cook goes back 800 years, typo. Benson 1200 years. In the inimitable words (screamed!) of Sam Kinison … as he said of the drought in Africa … MOOVE! Moooooove!!! Just MOOOVEE!!! There’s no water!!! Mooooovvveee!!!! Your crops won’t grow! You’re gonna DIIEEEE … if you don’t MOOOOOOVVVEEEV VE!!!! Emigrate!!! Mooooovvveeee!!!! PS … I hear that America has a very loose border reciprocity with Mexico … so Americans can simply FLOOD south across the border and start demanding FREE STUFF from the Mexican government … and insist they all speak English. Oh, and give us all FREE healthcare. Americans would get arrested and jailed if they were caught illegally entering Mexico. Why isn’t mikey mann coming out to say the MWP never happened? For that matter, I thought it only occurred in Europe? You know, ‘regional,’ not global, like they keep telling us. Wait, there was a drought right after California became a state? I know, correlation doesn’t imply causation, but still…. It’s “robust” as in full of that rich, deep Alarmist flavor we’ve come to know and love. It’s Chock-Full ‘O Stuff. They can get the same effect by taking their phones to the bathroom and downloading the videos youpr0n dot calm. Pretty much stopped reading after that query. In climate science, “robust” is defined as the infinitive of “rob us”. Stop nouning! (turning nouns into verbs).